A good blow off valve helps your turbo release pressure when the throttle is closed, and vents that pressure without recirculating the air. At Modern Automotive Performance, we test a myriad of aftermarket improvements to turbocharging systems and choose only the best to stock on our shelves. 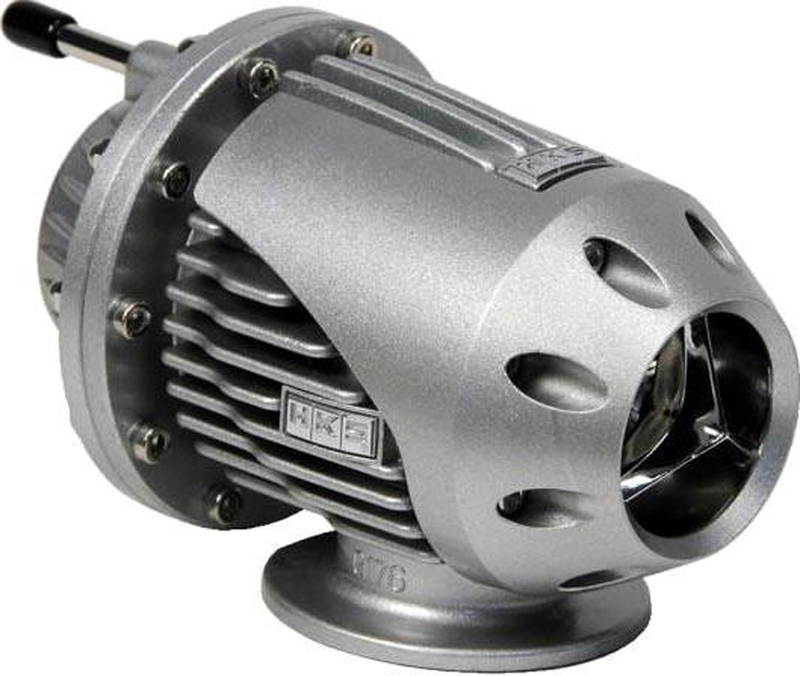 The HKS SSQV IV Blow Off Valve has impressed us time and again. Its design features a nickel-plated, die-cast secondary valve swaged to the primary valve, and a stainless steel C-clip and spring for better sealing and durability. The unique, sequential valve structure and a differential pressure control system gives a wide operating range, from low to high boosts. And we, just like our customers, love the sound the triple-fin design makes. This valve is made to work for any kind of turbocharged vehicle, whether it’s a stock option or highly-tuned charger. It uses the same mounting flanges as previous generations, and is compatible with other HKS inserts, fittings and kits. If you have other brands of kits, call us and we’ll help you figure out if an adapter will save you some welding. Note: The Super SQV 4 utilizes the same mounting flanges as all previous generation SSQV's to assure compatibility with all optional HKS SSQV inserts, recirculation fittings and recirculation kits.